It's the end of an era. 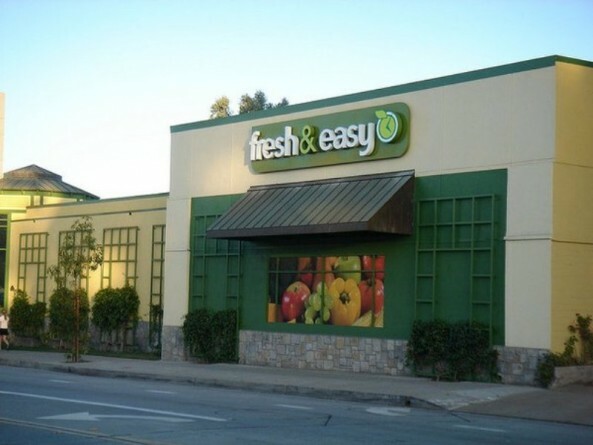 Fresh & Easy will be closing or selling all of its remaining stores in the coming weeks. The El Segundo-based company said today that it is planning on liquidating the rest of its 97 existing stores in California, Nevada and Arizona, with some being sold and others closed, The OC Register reports. That also means 3,000 employees will be laid off soon as well. Brendan Wonnacott, spokesman for Fresh & Easy, told the L.A. Times that they don't have enough money, and are unable to get the financing to keep operating the company. Because of that, they're starting "the process for an organized wind-down." "Over the last two years, we have been working hard to build a new Fresh & Easy," Wonnacott said. "While we made progress on stemming our losses and moving the business closer to break even, unfortunately we have been unable to obtain financing and the liquidity necessary to continue to fund the business going forward." Things were already not looking so well for the company back in March when they announced that they would be shuttering 30 stores in the Southland. Fresh & Easy, a venture by the UK grocer Tesco, first launched to much fanfare in 2007, with its smaller stores—about 10,000 square feet—and its quick, grab 'n' go produce and ready-meals. But it was always unprofitable, and faced with the recession, they lost millions and their stores underperformed. In 2013, the company filed for Chapter 11 bankruptcy, and would later be sold to Ron Burkle's Yucaipa Cos. The company tried to launch a turnaround plan, and then downsized, which leads us here today. Goodbye, Fresh & Easy, it's been swell.